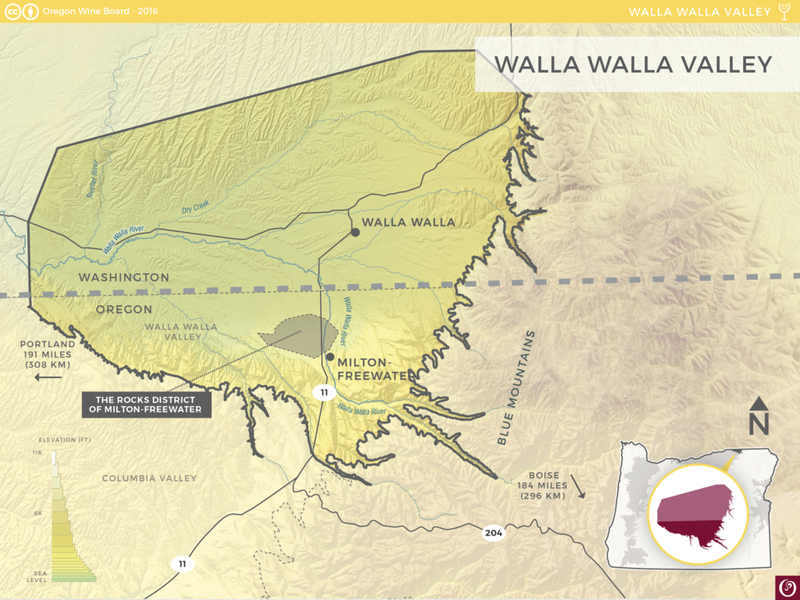 Situated along latitude 46° N, midway between Bordeaux and Burgundy, the Walla Walla Valley AVA lies on a bedrock of fractured basalt laid down 15 million years ago, its soils composed of the sand and gravel discarded by ancient floods, layered by wind-deposited silts. 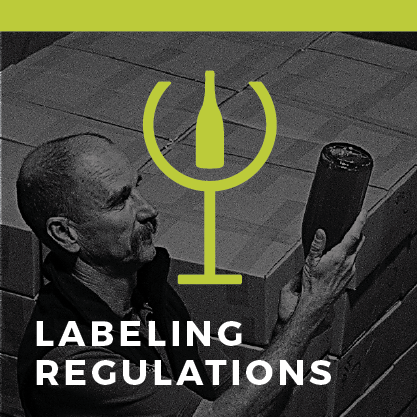 Those soils produce not only juicy strawberries and sumptuous sweet onions, but also some of the finest Cabernets, Merlots and Syrahs in the world, which are increasingly making their way onto top wine lists nationally and internationally. In the land of “many waters,” this oasis amid the vast sagebrush desert that rolls across America’s northwest interior, winegrowers are working their craft, from the foothills of the spectacular Blue Mountains to the arid regions of the valley’s west, building on a history almost four decades long and spanning the two states of Oregon and Washington. Located about 250 miles (400 km) east of Portland, the Walla Walla Valley AVA straddles southeast Washington State and northeast Oregon. It is contained within the Columbia Valley appellation. Vineyards are hemmed in by the Blue Mountains to the southeast, the Palouse to the north and the Columbia River westward. Elevations across the valley soar between 400 and 2,000 feet (120-610 m) above sea level creating many micro-climates. Located far from the marine influences of the Pacific Ocean, the Walla Walla Valley is the warmest growing region in Oregon, making it ideal for warm-weather varieties like Syrah, Cabernet Sauvignon and Merlot. Dry July and August heat provides a vibrant core of ripeness in the berries, while the chill of September nights assures the acidic backbone necessary for creating superb wines. There are four distinct soil terroirs in the Walla Walla Valley: loess (wind-deposited silt) overlying Missoula flood sediments, thick loess overlying basalt bedrock, basalt cobblestone gravels and very thin loess on basalt bedrock. The warm growing season temperatures, low rainfall and complex soils lead to complex, full-bodied wines. It is believed that winegrowing in the Walla Walla Valley dates back to the 1920s, although the modern-day wine industry began in the 1970s when childhood friends Gary Figgins of Leonetti Cellar and Rick Small of Woodward Canyon Winery began conducting oenological experiments in Rick’s garage. 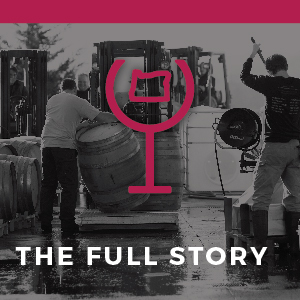 They soon began growing grapes in the Valley, and subsequently founded their wineries in 1977 and 1981, respectively. L’Ecole No. 41 was established soon after, in 1983. 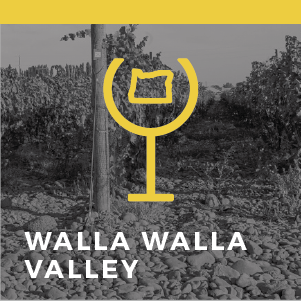 The Walla Walla Valley was officially designated as an AVA in 1984, but it took another decade for the growth spurt to begin. At the turn of the millennium, more than 50 wineries called the Valley home, and today that number has grown to more than 100. In 2015, a sub-section of the Walla Walla Valley called The Rocks District of Milton-Freewater was approved as an AVA.